In the past, extreme modifications by multiple and interacting pressures have offered increased human wellbeing. However, these pressures have tarnished ecosystems and the sustainability of their goods and services. For ecosystem restoration to be effective on many societal and environmental targets, the process of restoration must be redesigned to form a unified and scale-dependent method that incorporates social and natural sciences as well as the larger restoration community. Use, development, and misuse of water resources might seem incompatible with protection of aquatic ecosystem biodiversity. 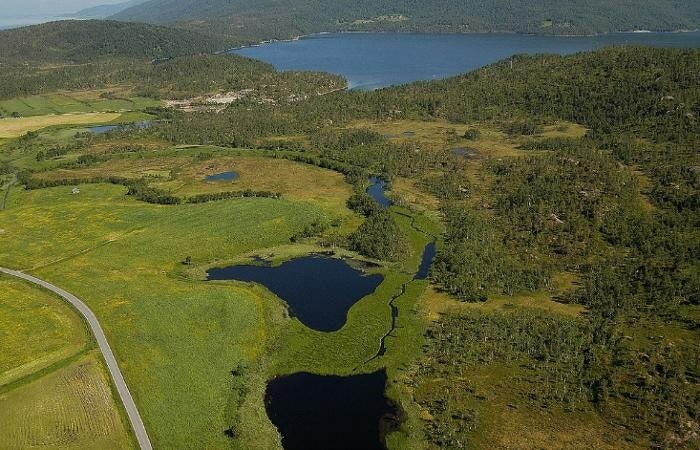 However, a team of Researchers from The Norwegian Institute for Water Research (NIVA) and their colleagues have come up with a new framework for effective ecosystem restoration, which combines these goals. This new framework may be crucial for realizing the UN targets of restoring a minimum of 15 % of all degraded ecosystems by 2020. By restoring aquatic ecosystems both the delivery of ecosystem services and the ecological functioning can be enhanced. In two peer reviewed articles published in 2016, in collaboration with international colleagues, NIVA Researchers reveal how this can be achieved. Special attention has been given to the river restoration work over the last decades, providing numerous experiences the Researchers can learn from, says Therese Fosholt Moe, Researcher at NIVA. On the whole the results from a majority of restoration projects have not been as fruitful as was anticipated. Many restorations are not reviewed by monitoring programs, and in several cases, the Researchers simply do not know if the projects are successful. There are a number of reasons for this: poor planning, lack of adequate financial support, loosely defined aims and primarily small and fragmented projects. Furthermore, attention has been given to restoring the appearance of nature, not confirming that the ecosystem processes are unharmed. Whether future projects will be effective or not depends on the research team’s approach to the restoration mission. It is humans who realize the need for and carry out these projects, though the incentives can be many and diverse, says Fosholt Moe. The measures taken must be thought of as part of a whole, in which all important social conditions are taken into consideration. Fosholt Moe stresses that this method should be implemented at all organizational levels - from agricultural politics, via the EU Water Framework Directive, to local decisions in the municipalities and the requirements of the landowners. This should expose the possibilities and restrictions of a restoration project. In this way, the goals will be more accurate, increasing the probabilities of a fruitful project. In other words, restoration planning is an important step in the process. Planning has to be both restricted and holistic in time and space. This is where the NIVA Researchers and colleagues propose the new concept: The Operational Restoration Unit (OR). The geographical limits of an OR will be defined based on landscape and catchments features, but other factors which might impact, or potentially hide, the catchment effects are also taken into consideration for when drawing the limits. Such factors are evaluated at all appropriate levels; from climate change to local point sources, incorporating the time effect. All these aspects should be added when an OR is defined, because this affects both measures that need to be taken, how to define the success criteria and also the calculations of cost-benefit for the project. The concept of, and the background for OR is published in WIREs Water and Advances in Ecological Research, respectively. What distinguishes an OR from former restoration practices is that an OR combines all of the vital and successful restoration elements in an all-inclusive way, where the result is more than the sum of the separate elements, Fosholt Moe explains. OR includes all the vital drivers for either success or failure; such as adding all relevant parties, being interdisciplinary, flexible and scalable such that it can be applied in any restoration. The core of its success is based on the consideration of both human and nature interests. This is important for a successful restoration, but has in former projects often been overlooked. While the complete implementation of the OR concept is yet to be tested, one of the most successful restorations in Europe, the Skjernå-catchment in Denmark, submits good results, as it includes a number of the elements of an OR. When selecting restoration measures, the focus has to be on reinforcing natural processes, allowing nature to act. For this, the ecosystem´s ability to return to its original state needs to be assessed. This is not presently a common practice, making the result of many restoration projects unpredictable. OR, on the other hand, looks at a system´s resilience (the ability to recuperate from a disruption), representing how the system will react to the restoration. The interaction of such restoration with natural processes is a cost-effective and sustainable solution, decreasing the need for long-term maintenance, Fosholt Moe highlights. For the application of an OR, an interdisciplinary approach is required. To make this operational, the team advocates that all significant parties put in effort to enhance the knowledge exchange. It is also crucial that future projects are followed up, says Nikolai Friberg, Research Director at NIVA. By implementing the OR concept as described in the articles, planning and accomplishment of the projects will be more complete. This, consequently, gives customized measures, a minimized need for maintenance, lower costs, more successful restorations, knowledge-based enhancing of the ecosystem services, learning and a better aquatic environment for future generations. In Norway, there have been limited restoration projects in aquatic environments, compared to other countries, for example in Scandinavia. But there is a requirement for restoration projects also in Norway, Friberg says. This situation provides the team a unique possibility to apply OR in future projects, thus avoiding the mistakes that have been done earlier. In 2016, a Strategic Institute Initiative was started up by The Norwegian Institute for Water Research, to examine the effects of the restoration measures in aquatic ecosystems. This will run over several years and the approaches discussed here will be analyzed.